Comments: Sarah Alice Vawter (Nee: Campbell) | USA | 1851-1900 | Comments: On the back is written "Alice Campbell, Mrs C M Vawter". 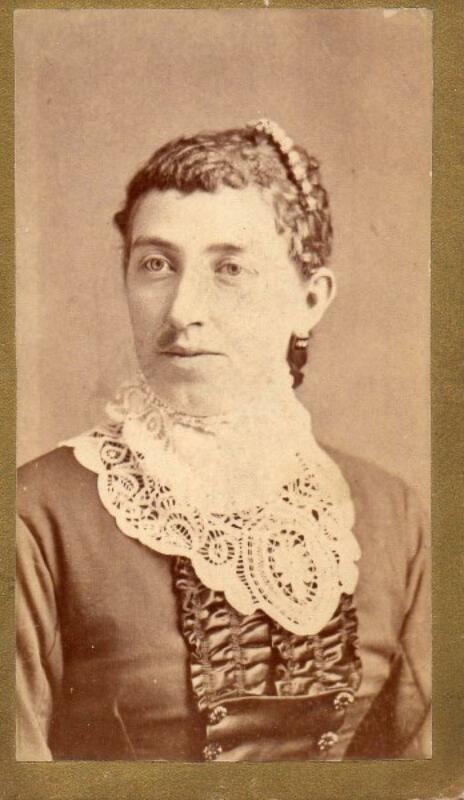 Sarah Alice Campbell was born July 29, 1859 in Indiana, and died some time in 1940. She married Charles Minton Vawter (grandson of Rev Col John Vawter, founder of Morgantown, Indiana) August 11, 1884.